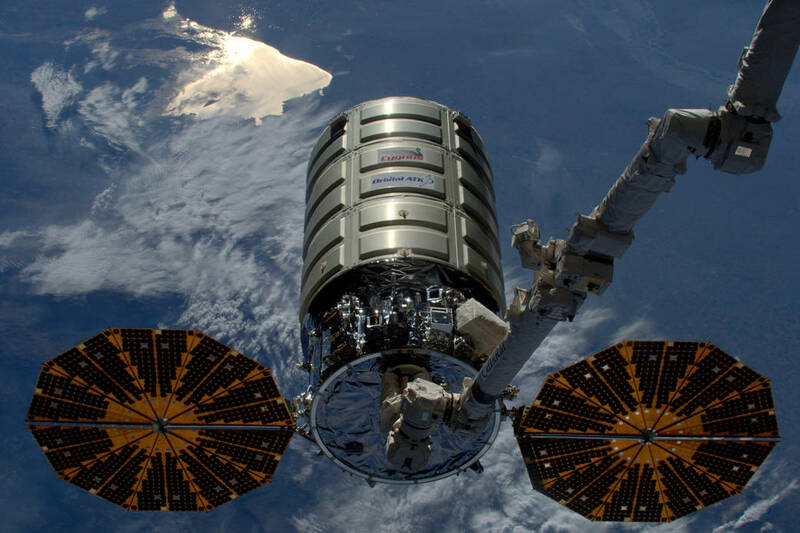 Orbital ATK’s automated cargo spacecraft Cygnus was developed in collaboration with NASA’s Commercial Orbital Transportation Services (COTS) program (to foster private space capabilities) and was awarded a contract by NASA to deliver cargo to the International Space Station (ISS). The first successful Cygnus cargo shipment arrived at the ISS on January 12th, 2014. Interesting Facts About Orbital ATK’s Delivery Vehicle! 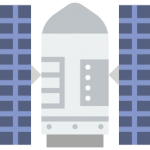 The commercialization of space will be critical to driving down costs in the future to fully utilize the ISS. The NASA led Commercial Orbital Transportation Services (COTS) program to develop private space capabilities to put unmanned cargo vehicles into orbit was an inspired decision and a necessary one! With the retirement of the Space Shuttles, NASA needed a way to supply the ISS, which is why Orbital ATK, SpaceX’s Dragon and the Dream Chaser spaceplane were ultimately awarded Commercial Resupply Services (CRS) contracts. The CRS contract NASA awarded Orbital Sciences was for a total of 8 Cygnus cargo flights was valued at $1.9 billion USD – or $95,000 per kilogram of cargo to orbit! All launches of the Cygnus were planned to take place aboard Orbital’s own Antares medium-class rocket. The Cygnus spacecraft consists of a Pressurized Cargo Module (PCM) and the Service Module (SM) with a total gross mass of 1.8 tonnes. The Cygnus operates autonomously to within a few meters of the ISS before the stations Canada Arm can grab and docks the spacecraft. The initial cargo flight was meant to launch at the end of 2010 but suffered delays for nearly 3 years, and finally successfully reach the ISS on January 12th 2014 with Christmas presents and fresh fruit for the astronauts. Ordinarily, the Cygnus remains docked for around a month. During the 3rd Cygnus commercial cargo mission, the Antares suffered an anomaly and exploded resulting in the loss of the Cygnus and rocket. Images of rocket explosions including the loss of the Antares. The three subsequent Cygnus missions were launched aboard Atlas V rockets. On 17 October 2016 flights of a larger, improved rocket the Antares 230, recommenced deliveries to the ISS. The Orbital ATK cargo spacecraft is not reusable, so does not provide any backloading capability, but it can be used for controlled de-orbiting of trash and obsolete equipment for destruction in the atmosphere.